LAS VEGAS, NV (KTRK) -- Two people were shot during an incident at Las Vegas' McCarran International Airport on Monday evening, police say. 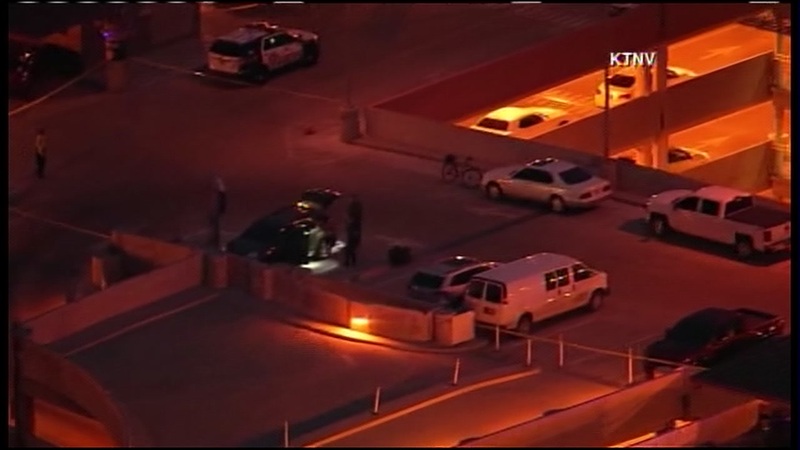 The shooting occurred on the sixth level of the airport's parking garage just before 6pm local time. Both of the shooting victims were transported to local hospitals for medical treatment. Their conditions are not known. The shooter is still at large. Authorities believe the incident is related to domestic violence. The top level of the airport's Gold parking garage remains closed. The airport's other operations have not been impacted by the incident. To get alerts for breaking news, download the abc13 news app for iPhone or Android. You can also get breaking news alerts sent to you by email.